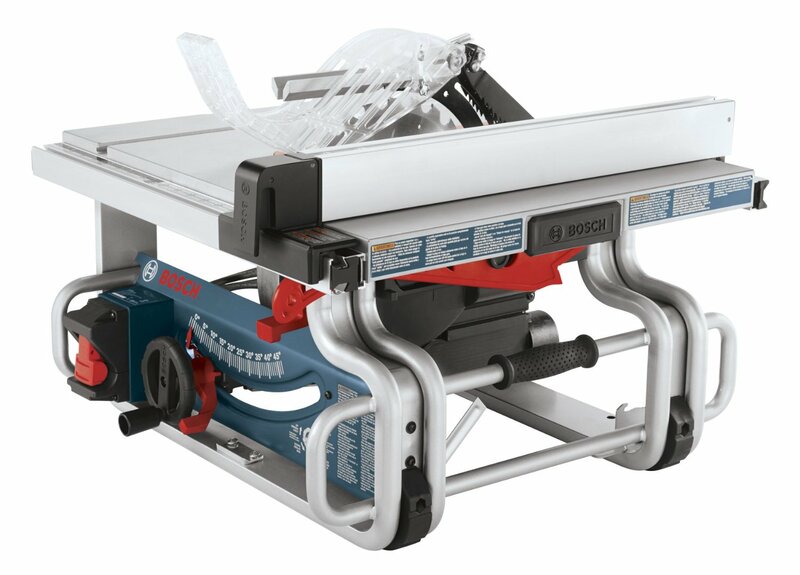 The Bosch GTS1031 describes itself as a Jobsite table saw, which as you can likely imagine is a table saw designed to be used on jobsites. With that in mind, you’d imagine that the GTS1031 should be easy to transport and we can definitely agree that’s the case here. A balanced one-handed carry handle is only one of the product’s unique features that are designed to make moving around your table saw even easier. This is coupled with a compact design that’s easy to transport and store. However, we’ll go on to discuss these portability features further into our table saw review. 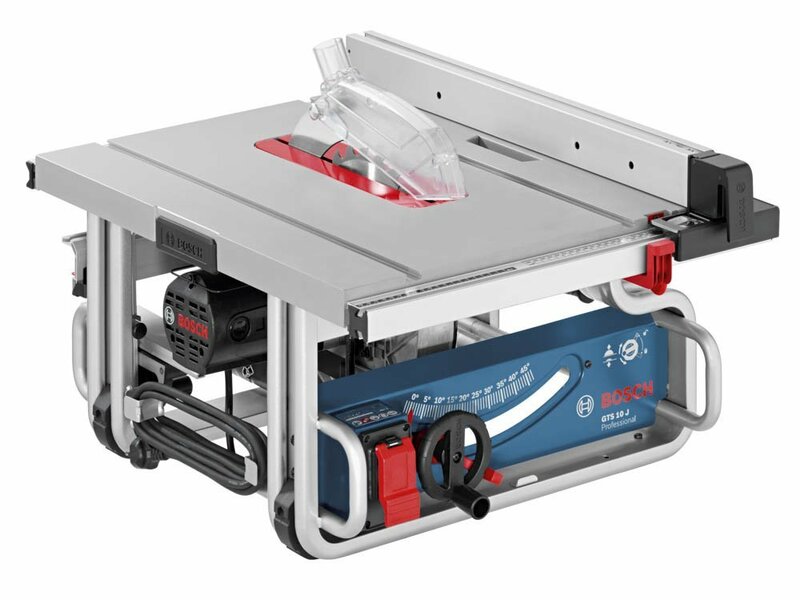 As well as that, we’ll also be exploring many of the product’s other features, along with some reasons why you may or may not want to invest in this Bosch table saw with the pros and cons section of our review. Read on to find out more about this product. 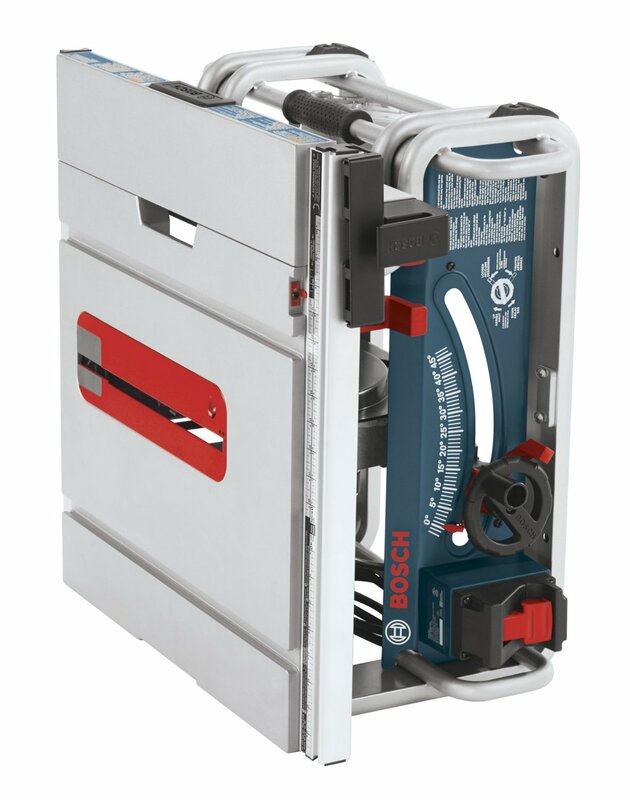 Behind what this Bosch table saw provides is a range of unique features. These might not necessarily be features that you need out of your table saw, but in time, you might find them useful and eventually may not be able to use your table saw without them. 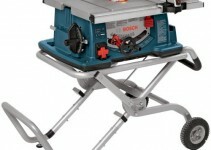 Ultimate Portability – As we mentioned in the opening section of this review, the Bosch GTS1031 table saw is clearly a product that is designed to be portable. 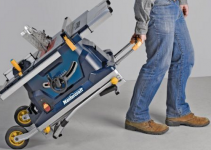 It may not be the most compact table saw on the market, but its one-handed carry handle definitely contributes towards the portability of this product. If you find yourself carrying a number of tools and pieces of equipment around jobsites, you’ll more than definitely find the one handed carry handle to be of some use with this table saw. In general, whilst it may not be screamingly obvious at first, this is a product designed to be portable. Designed to be Durable – Like any piece of equipment that’s used on a construction site, your table saw is undeniably going to be susceptible to a fair amount of damage. With that in mind, you’ll be pleased to hear that Bosch’s table saw is designed to be durable. That means that whilst we wouldn’t necessarily recommend chucking around battering the table saw up, you can use it without worrying too much. In fact, from our experience with the product, it’s one of the most durable table saws that you’ll come across, easily. Plenty of Storage Space – When it comes to using your table saw, it’s worth remembering that there’s a good chance you’re going to be using your table saw with a range of other tools. With that in mind, you’re going to want some space to store those tools and it’s great to see that Bosch haven’t overlooked this with the design of their table saw. The product offers complete on-tool storage with space designed to store rip fence, smart guard, mitre gauge and wrenches. That’s something that you won’t find many table saws offering in terms of functionality and an example of how Bosch go the extra mile. Whilst many table saws of this variety claim to be compact and portable, we’re happy this this table saw from Bosch actually is. This is largely down to the table saw’s balanced one-handed carry handle for easy moving around jobsites. Despite being light and easy to carry, that doesn’t mean that Bosch have skimped in terms of durability. The product is designed with a unique all-steel base that can more than handle the day to day abuse that a product of this kind would receive on site. Considerably more affordable than other products in Bosch’s range, which makes a refreshing change. With that in mind, those looking for a Bosch table saw but don’t particularly fancy shelling out the average price for one, will find the good option here. However, you’re still likely going to be paying for the Bosch brand. Because of the cheaper price of this table saw, you’re going to be missing out in terms of accuracy. Much like other table saws of this kind, the gauge is a little sloppy and inaccurate, meaning you might not be able to get the level of cut you’re looking for. What do other customers say about the Bosch GTS1031? Most customers who have purchased this product love the fact that they were able to get their hands on a Bosch product for a considerably cheap price. However, a number of them did note the lack of accuracy here. This lack of accuracy might become something of a problem if you really do need to pay attention to the quality of your work. In conclusion, when you take the price of this product into consideration, you’re going to be getting a good product here. There’s a few quibbles, but other than that, well worth your time and money.